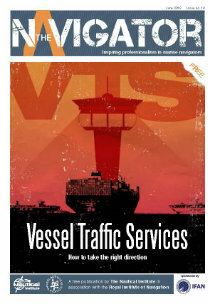 On 28 January at 18.00 (the times mentioned are those used on the vessel), the loading of MV TALI started and it continued the whole night through. During the night the vessel was dragged a couple of times (vessel moved longitudinally with the help of mooring ropes and winches). The loading operations proceeded as usual, and nothing unusual happened. The loading ended at 07.35, and the vessel left the quay at 08.45 guided by a pilot. 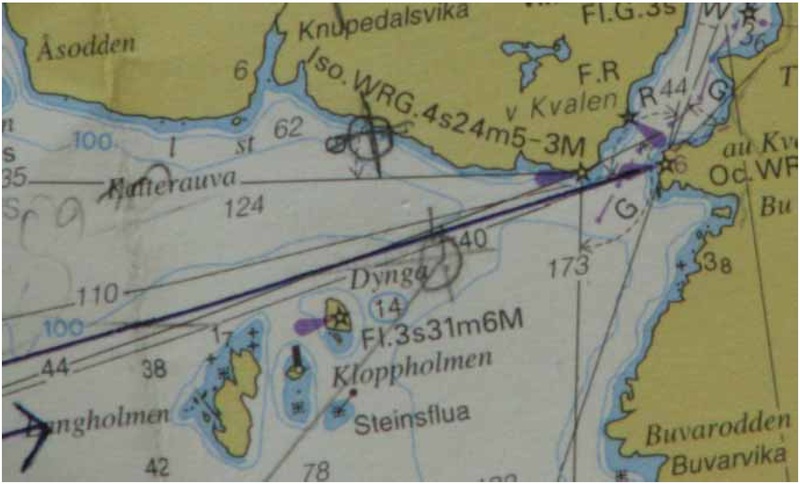 Before the departure, the check-lists, which followed the instructions given by the shipping company, were gone through and a route plan was drawn for the route Jössingfjord, Norway–Port of Pori (Tahkoluoto), Finland. After completion of the loading, the vessel’s draught was 7.84 m at the bow and 8.21 m at the stern, cargo 12,549 t, displacement 18,199 t. According to the ship’s logbook, the corresponding numbers at departure were 7.82 m and 8.24 m. The vessel’s stability in such ore loading condition is considered to be very good; the case was close to a ready calculated condition of the loading manual. The initial metacentric height was about 4 m, and all stability criteria were filled by a wide margin. On the other hand the rolling of the vessel is severe in this kind of loading condition. The coast at the scene of the accident is typical Norwegian coast; the water is deep close to the shore (see figure below). The depth of the sea was 30–200 m. The waves rolled from west, where the water was so deep that the waves can be considered to be deep-water waves. Near the shore the waves could be cross-swells because of the reflective effect of the shore. After the pilot had boarded the bulk carrier, she left the quay manoeuvred by the Master and guided by the pilot. On the bridge there were among others a second officer, who acted as the Officer of the Watch, and an able-bodied seaman, who acted as the helmsman. The Master also acted as a lookout. The following were in use: three-centimetre and ten-centimetre ARPA radars, a gyro compass two DGPS receivers and an electronic chart of the type TRANSAS. When the point of Vestre Kvalen was passed at the distance of approximately 100 metres, the pilot suggested that he could disembark the vessel earlier than at the usual boarding place because of the swell of the sea. The Master approved of the suggestion. The pilot asked the rudder to be turned 20 degrees to starboard and at the same time the engine order “Slow Ahead” was given. According to the pilot, the new course was supposed to be 285–290 degrees. According to what the Master remembers, the new course was defined to 300 degrees. According to the Master, upon leaving the bridge the pilot requested that if necessary a lee (shelter from the wind and sea) would be made for the pilot vessel. The pilot went down to the deck to the pilot gate with the second officer. The Master and the helmsman stayed on the bridge. The officer was asked to report when the pilot was ready to board the pilot vessel. The pilot and the officer had to wait on the deck for approximately a minute for the pilot vessel to reach the side of MV TALI. The Master gave the helm order “five to starboard” in order to provide more shelter for the pilot vessel. He moved to the manoeuvring place on the starboard bridge wing to follow the disembarkation of the pilot and to wave goodbye. The officer reported on channel 15 that the pilot was ready to board the pilot vessel. The pilot vessel was at the side of MV TALI, but she moved up and down because of the high sea, and thus the pilot was not able to board the pilot vessel. Several attempts were made, but the pilot vessel was heaving too much. The pilot noticed that MV TALI had turned more towards the shore. He then ordered the officer to notify the bridge that the vessel had to be turned to port. The Master had then already started a turn hard to port because he had noticed that the distance to the shore was decreasing too much. The Master ran the main engine on “full astern” for some time. 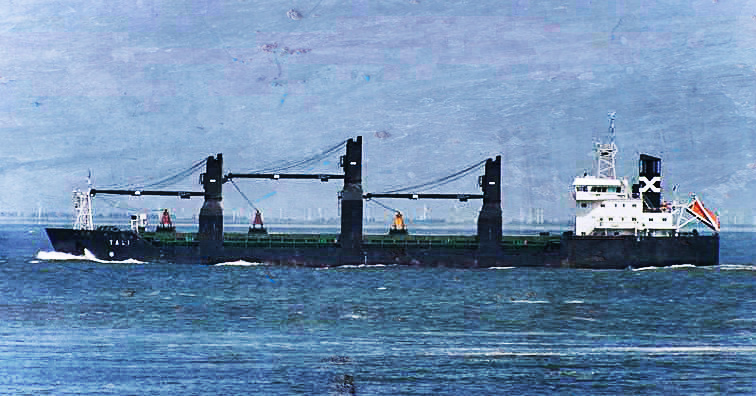 The pilot soon noticed that the vessel did not turn and hurried to the bridge. As he was climbing the stairs located at the stern of the vessel, he felt that the vessel’s bow thruster was being used. When the pilot came to the bridge at 09:1515, the stern of the vessel hit the ground. The main engine stopped, and water began to flow into the engine room. The pilot contacted the pilot vessel and told it to notify Rogaland radio about the incident and ask the coastguard for assistance. An alarm was received in the engine room at 9:14:45. It was reported that the engine room was making water through the Cedervall seal of the propeller shaft. The water level in the engine room rose. The first alarms about the rising of the bilge water came after 2.5–3 minutes. The leakage was bigger than the capacity of the emergency pumps (a bilge pump 106 m3/h and a seawater cooling pump 340 m3/h). The pumps stopped when their electric motors came into contact with water. The cooling water pressures disappeared when the loose propeller shaft broke the piping to the expansion tank. First the cooling of the main engine and then from the auxiliary engines disappeared and the machineries started to get warmer. It was not possible to use the rudder. The bow thruster had been started already before the grounding so that it could help in manoeuvring the vessel away from the shore. It kept going as long as two auxiliary engines were running. The bow thruster made it possible to turn the vessel away from the shore. 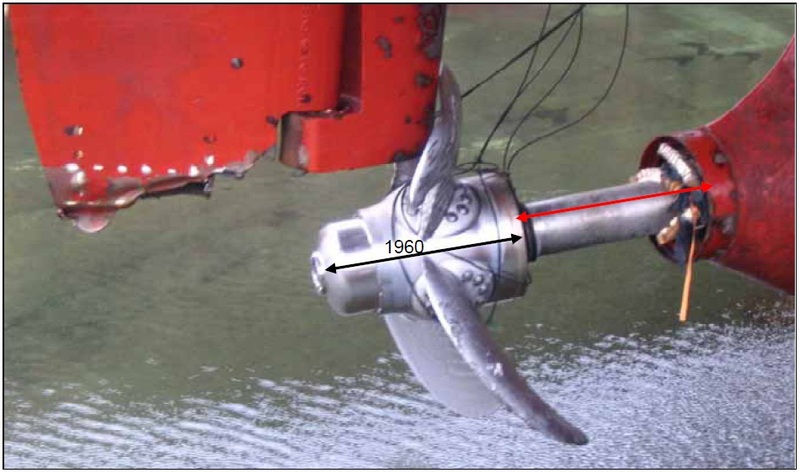 It has been estimated that the bow thruster was running 20–25 minutes after the grounding. The machinery stopped one after another. In the deck office the first officer was using the Norcontrol-system to follow the levels in the ballast tanks and alarms coming from the bilge water system. There were not any divergent readings from the ballast tanks. Several bilge alarms came from the engine room. At the same time the boatswain and the second officer, who had gone to the forecastle deck, started preparations for anchoring. The water was too deep to anchor immediately after the turn; depth was 124 m. At 9:25 the towing line was given to the pilot vessel. The bollard of the pilot vessel did not hold the pull, and it came loose at 9:29, but it helped the vessel to turn. With the help of the bow thruster and pushed by wind and the pilot vessel, it was possible to move MV TALI to shallower water (depth 40 m), and a portside anchor was lowered from the vessel at 9:34. The movement of the vessel ended approximately at 9:44. The following figure depicts the movements of MV TALI and pilot vessel. The dots indicating MV TALI are according to the GPS with one minute’s intervals 9:06–9:44. The GPS antenna was on the vessel’s starboard side on the roof of the superstructure, approximately 25 metres from the stern of the vessel (the centre of a green or red dot). Depths less than 10 metres are marked with dark blue colour. The vessel anchored at the position indicated with black dots at 9:42–9:44. 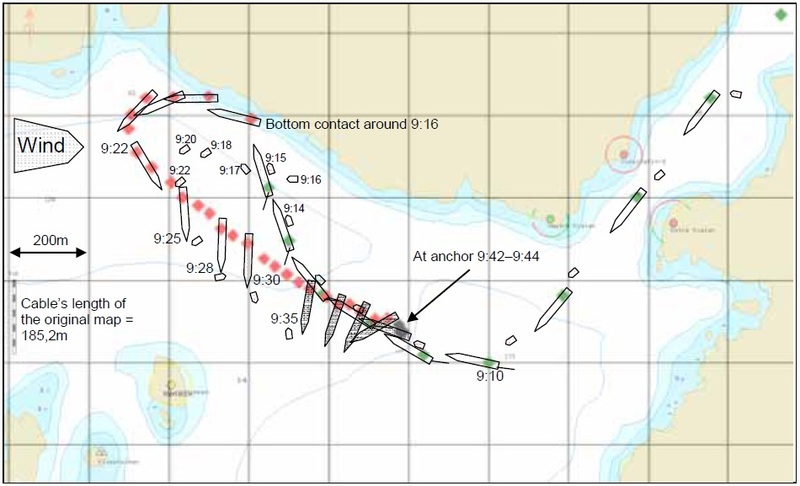 The green dots indicate the situation before, red ones after the grounding and black ones at anchor. The position of the rudder has also been sketched for the time interval 09:10–09:15. The vessel marked with a darker colour has lowered the anchor. Even after 9:35, the pilot vessel stayed close to the MV TALI. Ballast tanks, cofferdam tanks and starboard tank 19 were sounded manually. No leakages were observed in the tanks. At 9:42 there was a blackout and the emergency auxiliary engine started. At 9:44 (30 minutes after the grounding) the lower floor in the engine room was under water. The chief officer carried out the stability calculations. The engine room continued to make water, but according to the observations made on the vessel, the water flow stopped or was minor at 10:40–12:00. A request for rescue pumps to be brought to the vessel was communicated forward by the pilot. The pilot also asked another pilot to assist; the other pilot arrived at 11:00. The pilot ordered the police to perform a breathalyser test on him and the Master. The result was zero consumption of alcohol. The figure below shows the overall view of MV TALI and various water lines before and after the accident occured. The following have been added to the figure: water lines when the vessel left Jössingfjord (blue), the equilibrium position which resulted from pumping (green) and the position of damage stability calculations when the engine room was full of water (red). The place of the starboard-side pilot gate has also been marked in the picture. It took about 1½ minutes to walk from the pilot gate to the bridge. 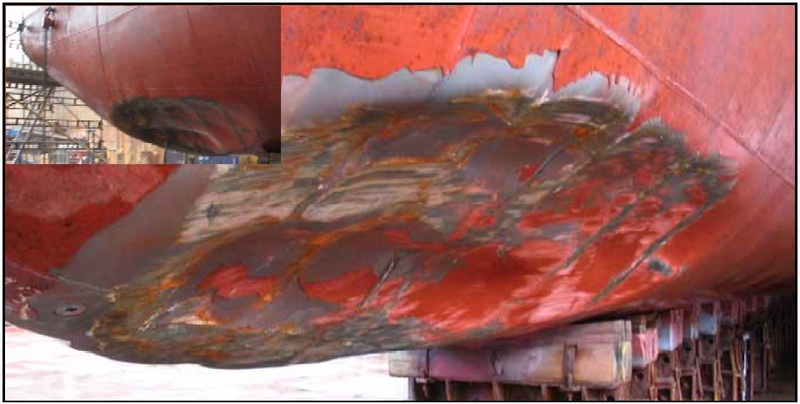 The vessel’s propeller and the propeller shaft and its bearings as well as the rudder were damaged. In addition to this, the aft part of the vessel’s hull got a clear dent (figures below). After the propeller hit the bottom rock, it pulled out the propeller shaft while the vessel was moving forwards. The shaft came off from the thrust bearings, and its inner part, which was narrower in diameter, remained loose in the opening of the shaft tube. Water started to flow into the engine room through the shaft tube. The thrust bearings broke the cooling water pipes and the cooling water tank 19 started to empty. The lower part of the rudder blade became first partly loose, and it later fell to the bottom in its entirety. The engine room equipment got damaged because of the water which flooded in. For example alarm and other cables had to be changed even in the dry areas because it was not possible to cut and join them. About 45 kilometres’ length of different cables were renewed during repairs. All the engine room devices had to be fully overhauled and many of them were replaced by new ones. At 10:10 the rescue cruiser (SAR vessel) PETER HENRY von KOSS and at 10:15 the coastguard vessel LAFJORD (W317) arrived at the scene. It was decided that these vessels were to be used to try to tow MV TALI to a safer place. The towing capacities were estimated to be adequate. At 10:47 the SAR vessel was fastened to the bow of MV TALI and at 11:58 the LAFJORD was fastened to the stern. At 12:03 the portside anchor with its chains was dropped to the anchorage and the journey towards Jössingfjord was commenced by towing the vessel backwards. The unloading was completed in the evening of 4 February, and preparations were begun to tow the vessel to Stavanger. The towing started at 13:50 on 7 February, and the vessel arrived at the waiting quay of the Rosenberg dock after midnight on 8 February. For information regarding repairs conducted onboard MV TALI please refer GMC website, the company that has been assigned with the vessel’s repairs. The pilot’s boarding of the pilot vessel was prolonged, and M/S TALI drifted too close to the shore. In the morning dawn the shore was visible only as a dark wall, and because of this the proximity of the shore was noticed too late. There was visibility from the bridge only to the pilot vessel; the pilot and the pilot gate could not be seen from the bridge or the bridge wing. The wind and the swell of sea pushed the vessel towards the shore, and this factor had not been taken into consideration from the beginning when manoeuvring the vessel. The wind and the swell of sea also slowed down turning away from the shore. There were no special instructions with reference to a pilot leaving a vessel neither at the shipping company nor on the vessel. Norway Pilot has informed that it will check pilot boarding procedures in the area in question and in the whole Adger traffic area. The shipowner has announced to have updated their SMS-manuals regarding embarkin and disembarking of pilot as well as navigation in restricted fairways. These emphasize the adequate manning of the bridge at all situations.